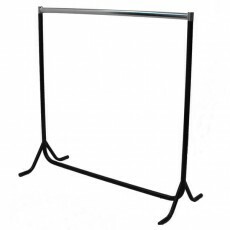 Clothing rails are such an integral part of Shopfittings Manchester's knowledge, experience and day to day activities that you could even say clothes rails are in our DNA! 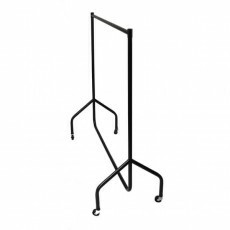 We carry a vast range, diversity and quantity of clothes rail stock, enabling us to immediately service the requirements of virtually every clothes rail consumer, from major multiple retailers to domestic customers. 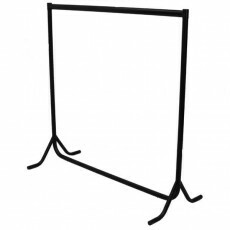 Our superior clothes rails are manufactured in the UK and designed for heavy commercial use. 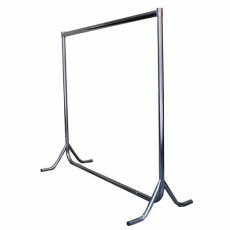 The range includes lengths from three feet to six feet, with height adjustment using extension tubes. 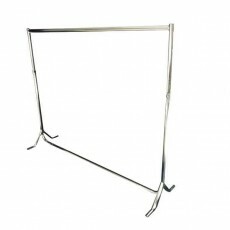 Our superior clothes rails can be supplied with two types of castors, or with a stable 'fish-tail' base. The range is currently available in either standard black or chrome; the two finishes can be mixed and matched to suit customers' individual requirements. 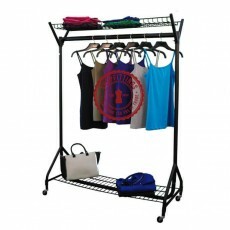 For the more price-conscious clothes rail consumer, we import flat-pack clothes rails from the Far East. 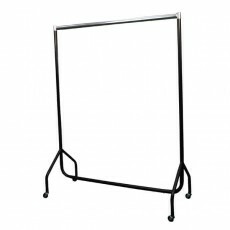 These cheap clothes rails are available in three different widths. 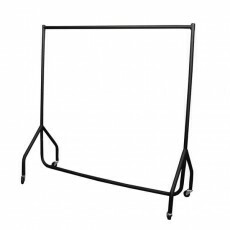 At Shopfittings Manchester, we currently stock three types of portable clothes rails, known in the trade as "reps' clothes rails", or "reps' rails". 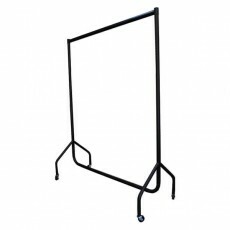 These are made of lighter weight materials and are designed as folding clothes rails, for easy transportation. 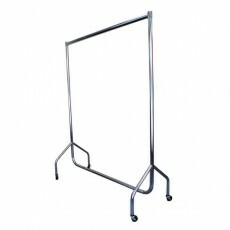 We currently have available from stock, a range of Italian designer garment rails for fashion retailers. 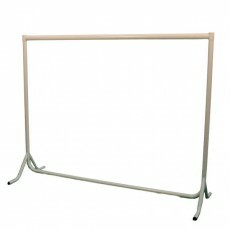 These are available in two different finishes / configurations. 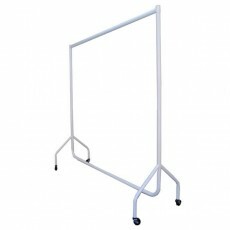 We carry a huge range of free-standing clothes rails, which are designed specifically for clothing retailers. These are available in superior chrome finish, in eight different styles and are fully adjustable to suit customers' individual requirements. 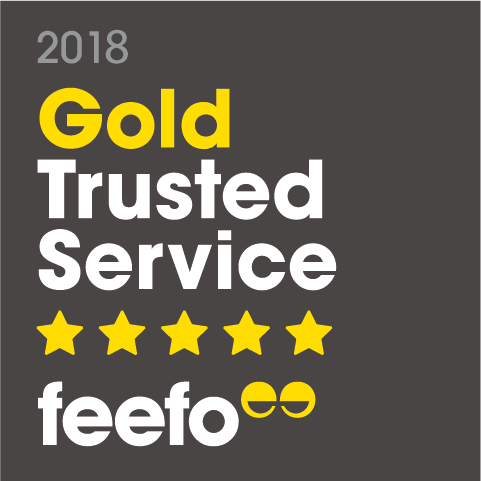 The staff at Shopfittings Manchester are fully trained in all aspects of clothes rails; if you have any queries, or need help in selecting the right product, please don't hesitate to call us on 0161 834 8943.